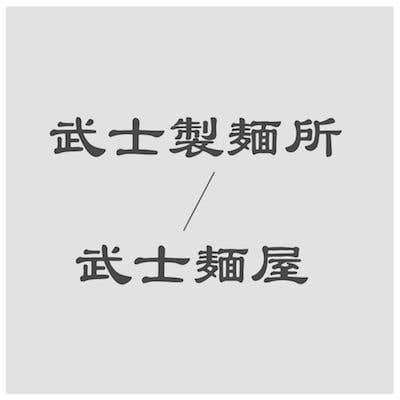 Combining two syllables in "Wu" and "Si". It has a similar pronunciation with "武士". "製麺所" and "麺屋" mean the same so it's your choice. Hope you like the names. :) R.